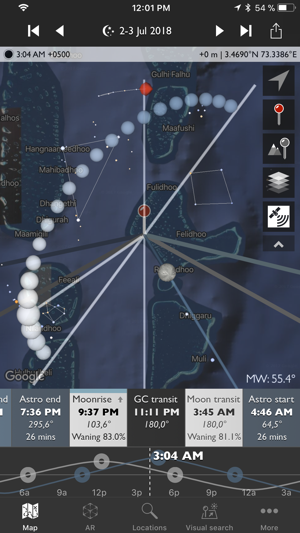 Night mode features a 3D representation of the Milky Way, pole stars and major constellations directly over the map, so you can easily visualize exactly how to align your shot. Research and save your own list of favorite photographic locations, using 7 different map types (including 2 offline maps) and save them in your locations list. Favorite locations are always displayed right on the map. It is great to show you the elevation and “Flow” of the land. 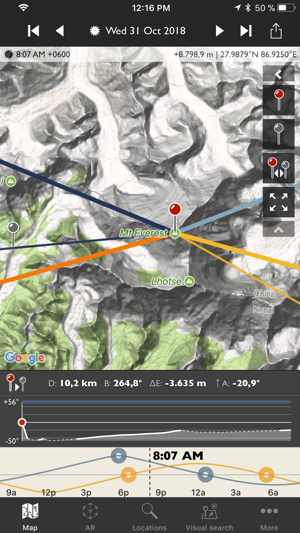 Also it has 4 types of maps showing this in Google & 2 using Apple maps. You can see what you are getting into, but you must remember the this is just a map form yesterday, new trails or changes are not shown. Also the view is of the elevation is great as long as they haven’t built anything or grasses/trees grown too much, which is not true for Charlotte,NC. All this being said, I related the program a 5 Star because it shows you so many points of view, the sun & moon flow in the sky at a specific time and a better location to at least start looking for a good spot to get the frame you want. This program is great for starting a plan from your house and then going out for the picture. 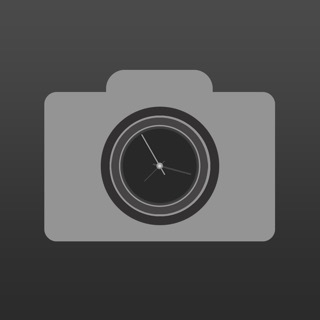 Extremely useful app, if you want to plan your photography for a trip or event. 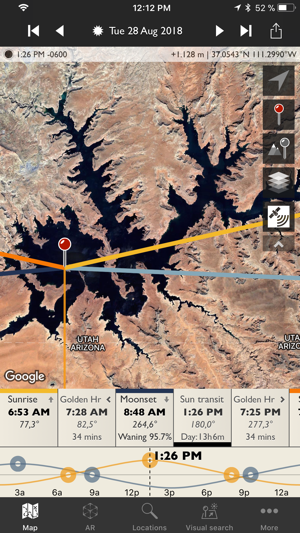 Pick your location-instantly you see sun and moon rise and set times. Tap on the date to pick a future date. 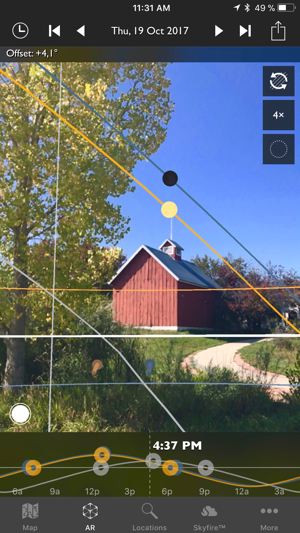 Swipe a finger across the display at the bottom to see the direction of sun or moon overlaid on the map-satellite photo help plan the shot, and even tells you if terrain will obstruct your view of eg sunset. I have used it to choose location for a one time trip to the Mackinaw Bridge, as well as look to see where is the closest place to travel for the next solar eclipse. If you care about getting the most good locations for your photo trip, hands down this is the one to get! 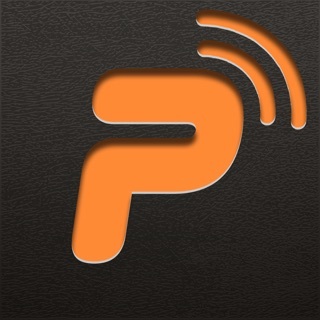 I’ve been using this app for about a year or more and it has proven very useful. I have several locations saved near home and a National Park where I go to to observe and photograph sun and moon rises and sets. Particularly, I try to photograph moon rises or sets within the Earth’s Shadow. This app provides the times and locations where this will happen. 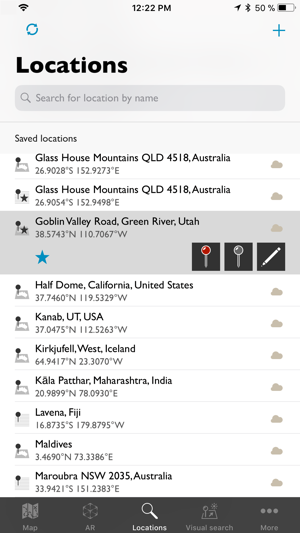 What it cannot do is control the weather, so ultimately it is still a challenge, but using this app ensures that you have all the information at hand to be in the right place at the right time.